It was lovely to see you at Australia Zoo again this year. I’m always grateful for a chance to catch up with you that doesn’t involve the Christmas crowd crush and a queue of over-tired, over-excited children and their over-it parents. Thank you for telling the Big Sister that her reindeer food (rolled oats and glitter) is an important navigational tool for Rudolph. Thank you for not rushing the kids thought but really taking the time to listen to their small awed voices and quiet yarns. Thank you for not switching your arctic outfit for board shorts despite the 31ºC day. Thanks also for surrounding yourself with a photographic team who made sure they got a good shot. 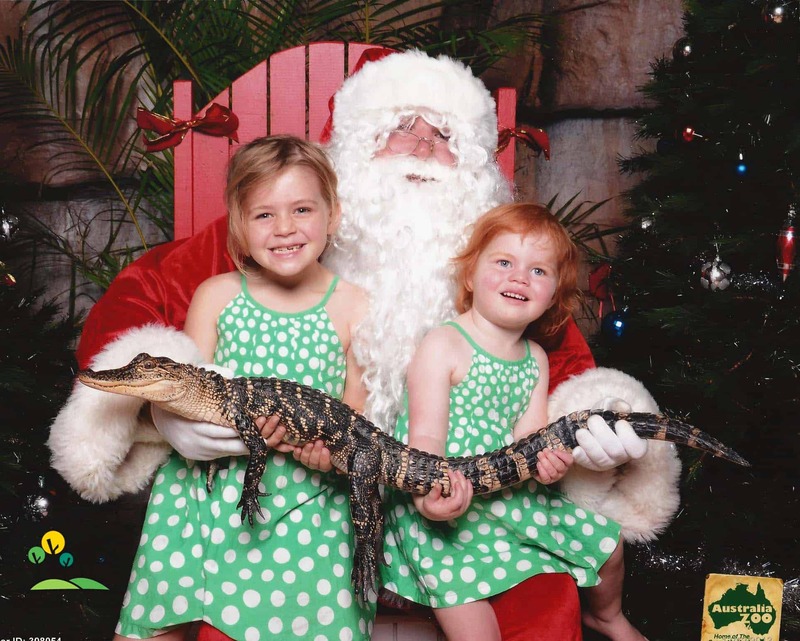 Thank you for hand-picking an alligator with the perfect temperament, and providing my daughters with the perfect, empowering wildlife experience. For all of this I am grateful, and because of this I’m willing to overlook the fact that I’m in the kitchen, sweltering in front of the oven because you told the Big Sister that you’d like a mother-loving plate of chocolate-freaking-chip cookies on Christmas Eve. 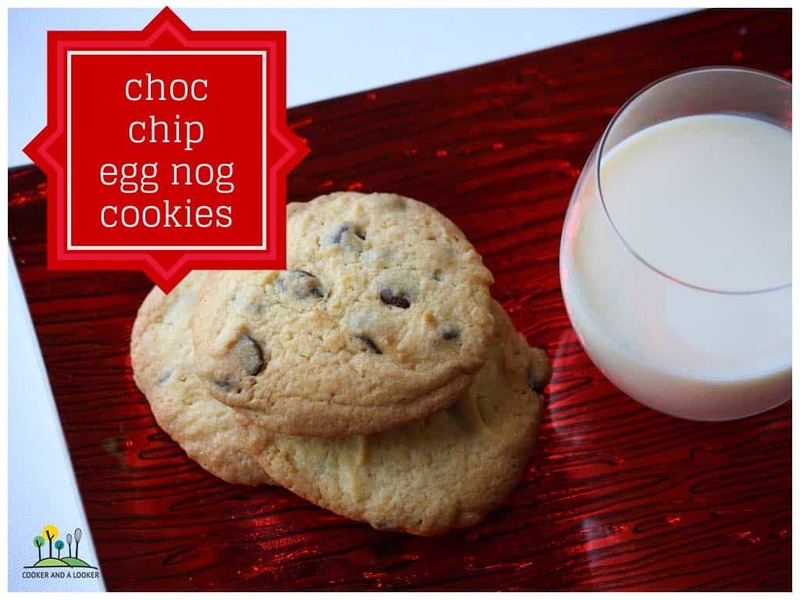 makes a dozen St Nick-sized cookies. Using an electric mixer, cream the butter and sugar until fluffy. Add the egg nog, egg yolk and vanilla bean paste and beat for a further minute. Add the plain flour and baking powder and beat on a low speed until well combined. Stir the chocolate chips through. Place tablespoon sized balls of dough onto lined biscuit trays. Bake for fifteen – twenty minutes until browned on the edges. Cool on wire racks. Finally Santa, thanks for doing all the hard work on Christmas Eve so that Mummy can put her feet up and mainline something bubbly. oh dear lord those girls are gorgeous….. but i’m pretty sure that you misunderstood; no santa who wants to see another day would ask for *homemade* cookies!! next year, hit the woolies, babe.